Tahl has a Bachelor of Science in zoology and applied mathematics and a PhD on Australian climate variability and extremes, and on communication of climate forecasts. Prior to her current role she was postdoctoral fellow at the International Research Institute for Climate and Society (IRI) at Columbia University in New York, a project scientist for the physical climate science Working Group of the Intergovernmental Panel on Climate Change (IPCC) in Boulder, Colorado, and a greenhouse and water reporting manager at ICLEI-Local Governments for Sustainability - Oceania in Melbourne. 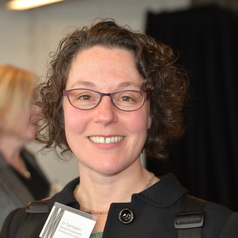 Tahl joined MSDI in 2009 and has been managing a variety of other projects and programs, including Climate Scientists Australia, the Australian Bushfire Arson Prevention Initiative, and Indigenous Communities and Climate Change Program.